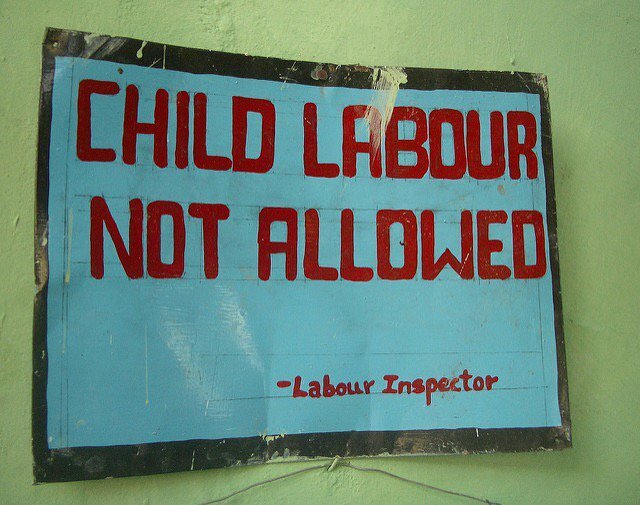 There are 168 million child laborers worldwide and half work jobs that are dangerous and degrading. I was talking to my 15-year-old son. His after-school job was creeping up in hours. I was worried about his sleep and his schoolwork. He hadn’t played soccer with his friends in two weeks. But in many parts of the world, a child Derrick’s age would already be working 12-hour shifts through pain, exhaustion, and abuse. There are 168 million child labourers worldwide and half of them are working in jobs that are dangerous, dirty, and degrading. June 12 is World Day Against Child Labor and I want to share the story of Jatin, a victim of child labor in India. He meant to work for just a little while, until his father recovered from illness. But that was four years ago. Jatin’s dream of school got fainter with each passing year, until it disappeared completely. Thirteen-year-old Jatin now toils alongside his father, making shoes. They work in a factory in someone’s home. Jatin’s work consists of cutting, stitching, and gluing the leather pieces. His hands ache constantly. The shop is one of many that exist in the city of Agra, known for the world-famous Taj Mahal mausoleum. 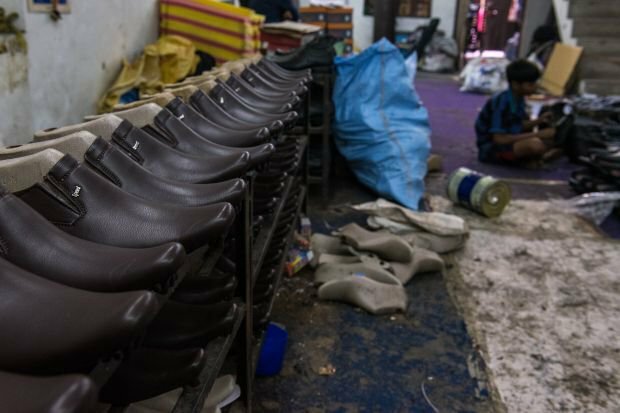 Many of Jatin’s shoes find their way to nearby markets, where tourists go to shop. It’s easy to picture the travelers, celebrating the deals they’ve scored on beautiful pairs of hand-made leather shoes. Perhaps they don’t know about Jatin, and other children like him. The factory where Jatin labours is anything but safe, with heavy machinery and sharp tools lying everywhere. The boss hovers nearby, ready to shout when his young worker slows. I think about this 13-year-old boy, hunched on the floor, making shoes his family can’t afford to buy. I feel sorrow – and a sense of outrage. Jatin came into the world with a wealth of potential. Who knows what he might have become? Jatin shouldn’t have to give up both his childhood and his future, just to help his family get by. For his pain and sacrifice, Jatin helps his father accumulate a total of $55 a week. Here in Canada, my son earns that much in a single evening. But Derrick is saving for a new cell phone. Jatin is saving for next month’s rent. A story like this can leave us feeling helpless – and angry. It’s easy to blame Jatin’s father. When he recovered from his illness, Jatin continued to work, rather than returning to school. But there’s a lot we don’t know about the family. And many things are different in deep poverty. The illness might well have lasted months, leaving the family buried in debt. It could take years to dig out. We could blame the tourists who buy Jatin’s shoes, reveling in the low, low prices. But then, we’d need to look at our own shopping habits. Where do the shoes that we purchase from our local mall originate? Was there child labour in their making? Jatin’s father may not hold the power to advocate for his son. But we do. You can speak up for Jatin, and millions of other children like him. This article was written for World Vision Canada's No Child For Sale campaign. The campaign works to to hold Canadian companies with overseas factories accountable for the way their products are made.